Originally from Montreal, pianist David Bergeron has established himself in Vancouver over a decade ago. He enjoys a multi-faceted career as a pianist, collaborative artist, pedagogue and arts administrator – specifically for the Vancouver International Song Institute for which he currently is the Institute Director. David was on the piano faculty of the University of British Columbia, as a collaborative piano instructor during the 2013-14 academic year. 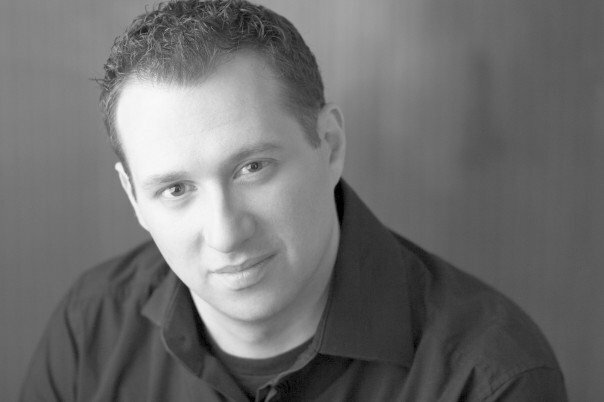 Still at UBC, in 2008-09, he was the Artistic Director of the inaugural season of the Dodson Music Series. A returning guest artist at VISI’s SONGFIRE Festival, David has also performed at the Montreal New Music Summer Series, and as a soloist with the McGill Contemporary Music Ensemble under the direction of Denys Bouliane. In 2005, for the celebrations of Saskatchewan’s Centennial, he performed a solo recital at the refurbished Mae Wilson Theatre in Moose Jaw, as part of the Amazing Accomplishments Series at the Prairie Art Festival. He is at ease equally as a soloist, a chamber musician as well as in song repertoire. David holds a Doctor of Musical Arts Degree from the University of British Columbia, where he benefited from the extraordinary mentorship of Professor Rena Sharon. His focus on contemporary music written in Québec culminated in a dissertation and lecture-recital on Claude Vivier’s virtuosic tour de force Shiraz for piano solo. While at McGill University (MMus, BMus), he studied with Tom Plaunt, Michael McMahon and Jan Simons. Acclaimed for her charisma and exquisite tone, soprano Lambroula Maria Pappas has impressed and delighted audiences around the world. She possesses an extraordinary blend of shimmering voice, powerful stage presence and sparkling lyricism. “Outstanding, Lambroula Maria Pappas stamps perfection in the role of Gilda, theatrically and musically” (Berner Zeitung). With Gilda in Rigoletto becoming one of her signature roles, in 2008, she made her Swiss debut at Stadttheater Bern and her debut with Opera Saskatoon in Canada. After celebrated performances of the title role in The Cunning Little Vixen for Pacific Opera Victoria in the 2004/2005 season, Ms. Pappas returned to Victoria in 2006 to sing Gilda in Rigoletto and reprised the role with Spokane Symphony and Orchestra London. Ms. Pappas is a former member of the Atelier Lyrique de l’Opéra de Montréal and has been acclaimed by audiences and critics for her performances as Marie in La Fille du Régiment, Despina inCosi Fan Tutte, the title role in Amelia Goes to the Ball, Adina in L’Elisir d’Amore, the title role in Lucia di Lammermoor, and Queen of the Night in Die Zauberflöte. Main stage, Ms. Pappas performed Giannetta in L’Elisir d’Amore, Papagena in Die Zauberflöte, and La Charmeuse in Thäis. Other significant performances include Adele in Die Fledermaus, Miss Silverpeal in The Impressario, Sandrina in La Finta Giardiniera, Anna in Le Villi, Mrs. Ford in The Merry Wives of Windsor, Sophie inDer Rosenkavalier, and Lucy in The Telephone. 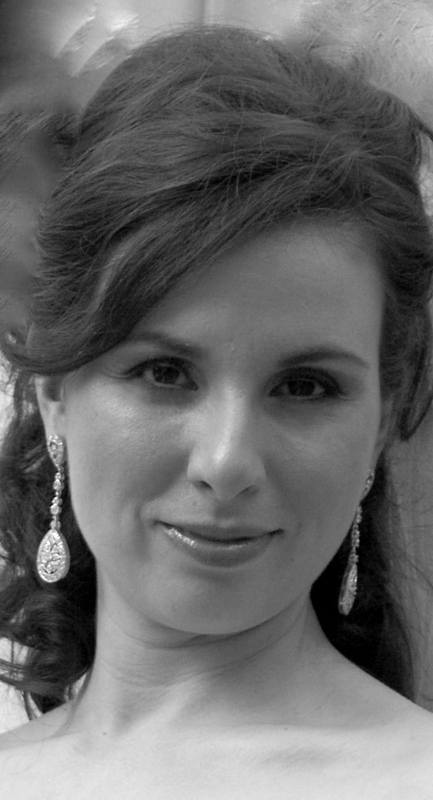 As a concert soloist, Ms. Pappas has sung with symphony orchestras across Canada with highlights that include the likes of the Vancouver, Montreal, Orchestre Metropolitan, Victoria, and Quebec Symphonies; Festival Vancouver, Festival en Lumières, Festival de Lanaudière and Festival Lachine. Internationally she has appeared with Germany’s East West Symphony, Belgium’s Opéra de Wallonie, France’s Opéra d’Avignon, Spain’s Delegada Orquesta Sinfonica de Madrid, Orquesto Pablo Sarasate de Pamplona, Northwest Sinfonetta, Lake Union Civic Orchestra and New York’s Lincoln Centre at Alice Tully Hall. Ms. Pappas has also proven to be a formidable competitor in singing competitions, winning first place at the Northwest and Great Lakes Metropolitan Auditions, and competing as a national semi-finalist at the New York Metropolitan Opera. Other successes include top-three finishes at the Julian Gayarre International Competition, Verviers International Competition, Jeunesses Musicales Competition, Début and Les Jeunes Artistes. Lambroula has also received grants recognizing her talent from the Canada Council of the Arts, Jacqueline Desmarais Foundation, Vancouver Opera and the Hnatyshyn Foundation. Ms. Pappas has made several recordings and has appeared on many CBC television and radio programs as well as a Bravo television documentary entitled “Projection”. Recordings include the Bird Girl in Harry Somer’s opera, Serinette, the Angel in Chor Leoni’s recording of Lauda per la Natività, and Caro Nome in World’s Greatest Opera for Kids. Ms. Pappas is head of the vocal department of the British Columbia Conservatory of Music and proud to be on faculty at the outstanding summer art song program Vancouver International Song Institute (VISI) and Young Artists Experience (YAE). This season, Ms. Pappas’ engagements include orchestral engagements with Saskatoon Symphony, Palm Court Light Orchestra, Northwest Sinfonietta and Prince George Symphony. From British Columbia, Ms. Pappas has Bachelor of Music (Voice Performance) and Master of Music (Opera) degrees from the University of British Columbia.